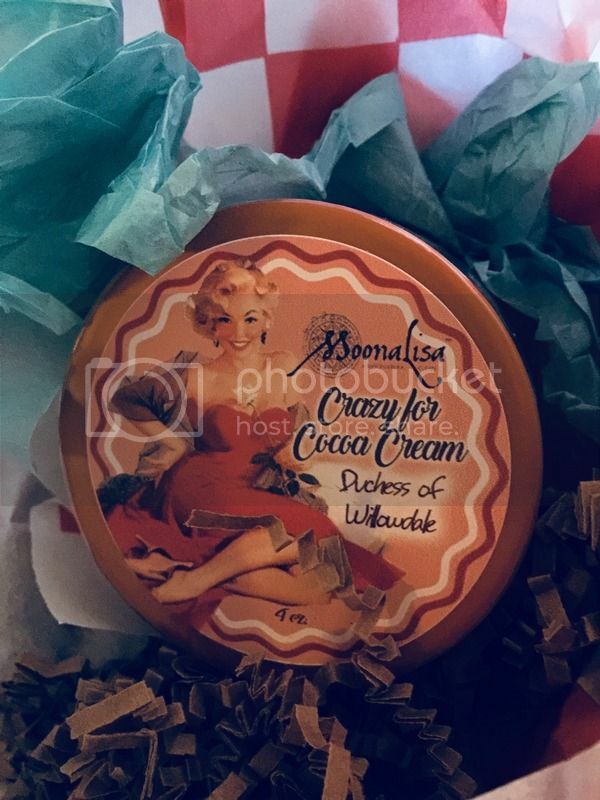 A quick little review of the products I picked up during the Summer release from Moonalisa, and a chat about indie sellers and the relationship to the customers. I love Moona's products - I know that they are all high quality, and whenever I've contacted the Moo Crew, I've received timely and helpful replies. So I pretty much decided to take a chance on several new products and scents in this release, and I am so pleased with everything! In my last order I received a sample of the Vegan Jelly Soap, and I loved it, so I made sure to order a full size. I also picked up the leave-in conditioner spray (new to me) and finally purchased a perfume oil. I received a lovely deluxe sample of a charcoal face wash, which is perfect, because I really can't get enough of charcoal washes right now. Moonalisa always sends lovely samples, good sizes and often of new or future products. The perfume oil came in a lovely little box, with the mermaid from the collection's beach theme on the outside. The detangler is packaged with two caps, one for shipping with the spray top separate to prevent leaks. All in all, very professional and very much appreciated by someone who lives in a hot desert climate, and doesn't want to lose product to the heat or poor shipping practices! So, lets talk about the products, and the scents. I'm going to start with the perfume oil, as I purchased it in Duchess of Willowdale, one of my favorite Moona scents. It came in a lovely little bottle with a roll-on applicator, and the oil is certainly good quality. I was most impressed with the scent. In this form, Duchess of Willowdale still smelled exactly like the lotions I've purchased in the scent, and it lasted for several hours, until I took a bath. I highly, highly recommend this scent for anyone with a penchant for gourmand/tobacco/coffee type scents. It is by far one of the best I've ever tried. The scent is described as "Notes are reminiscent of old Victorian parlors: honey, Amber, and pipe tobacco, but with added notes of deep, dark, rich chocolates." Speaking of coffee scents, I chose Black Mamba for the Leave-In Conditioner. I've used the conditioner once so far and it seems really nice. The scent, though, is lovely! In the bottle, Black Mamba reminded my slightly of Thai mango sticky rice, but once in my hair, the true scent came through, a deliciously deep coffee and sweet scent. Black Mamba is described as "named after one the deadliest snakes in the world! Delve deeply into the dark and exciting aromas of Caribbean rum, rich Hazelnut dusted marshmallow cream, Black Vanilla, simple syrup and dark, freshly brewed coffee." It smells exactly as described! The Jelly Soap was probably the item I was most excited for. I loved my sample (in the scent Jello Shots) but decided to order the full size in the scent Bali Cloud. I haven't used it yet, but in the jar, Bali Cloud smells like a deliciously alcoholic orange dreamsicle, and Moona describes the scent as "EO's of Sweet Orange Peel, Ylang Ylang, and FOs of Sandalwood and Creamy Vanilla. A mix of my Orange Cloud and Bali scent, because Moona gets so confused which is which, she decided to mix them together instead. This scent is like fresh peeled oranges with a sweet woody background. They smell wonderful and relaxing! The Ylang Ylang is hardly detectable in this scent and only enhances the sweetness of the fresh orange smell." I'm not sure what I am smelling on cold sniff, but it is good! Because I have several charcoal-based cleansers active already I haven't tried the sample sent, but I am excited for it! Now, a quick chat. I want to remind everyone, that when you buy from indie shops, you are usually buying direct from the creator, and not through a third (or fourth, or fifth) party. These are people creating something with love, and then offering it to the public, and both their tie and work needs to be respected. That said, if you are going to promote yourself as a business, you need to conduct yourself as a business and over years and years of buying indie bath & body products, only once have I ever run into a seller who did not conduct themselves with integrity, where i had to respond with actions taken. A seller who gets behind on shipments due to life and outside interference is not a bad seller. Most of these shops bend over backwards for the customers, so to see people going off over communicated delays is frustrating. As long as a shop owner is communicating, that is being responsible. Most people were probably given the option to cancel orders (I actually never saw the emails myself because for some reason I'm not receiving the newsletter anymore). So, just be respectful, is all I'm saying.